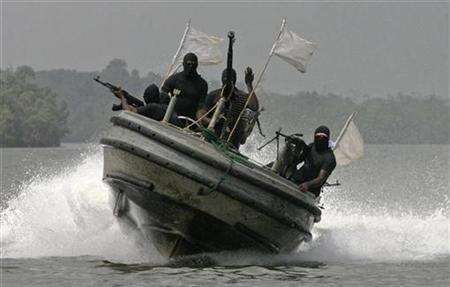 The dreaded Niger Delta Avengers says one of its sophisticated "strike teams" has blown up Chevron Escravos export pipeline. The activist in a statement published on their twitter page, stated that the operation was carried out around 3:45am early Tuesday morning, October 25, 2016. "Today, at about 3:45am, our strike team 06 took down Chevron Escravos export pipeline at Escravos offshore" ND Avengers stated on twitter. The activists whose attacks on pipelines have reduced Nigeria's oil and gas production to its all time low stated that the reason for their recent operation is to send a strong message to multinational Oil Companies, and Indigenous Oil Companies in the region to ensure maximum obedience to their order and desist from carrying out any rehabilitation work on any of their facilities that has been blown up. They also warned the federal government of Nigeria that any attempt to use the ongoing dialogue to deceive or distract their attention from their laid down demands will be be at the peril of the Nigerian government. "This is to further warn all IOCs' that when we warn that there should be no repairs, pending negotiation/dialogue with the people of the Niger Delta, it means there should be no repairs. "Any attempt to use dialogue to distract us so as to allow the free flow of our oil will halt the dialogue process." Avengers warned. Congratulations to you Delta Avengers! You are really Heroes! !